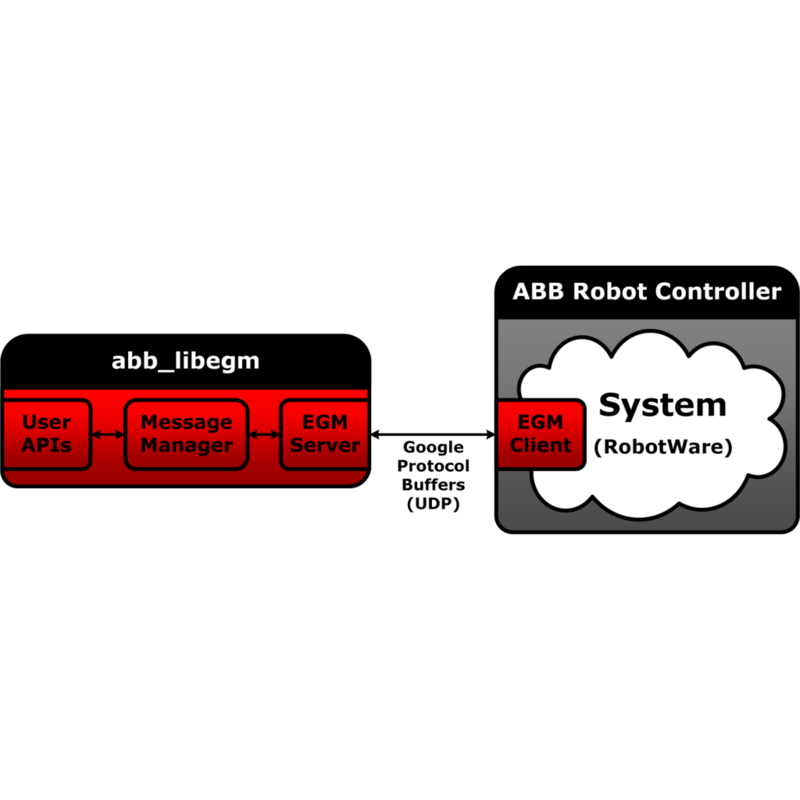 abb_libegm is a C++ communication library for facilitating, and easing, the use of the Externally Guided Motion (EGM) interface of ABB robot controllers. In a nutshell, the library helps with setting up communication channels, parsing EGM messages, as well as providing user APIs. The library does not depend on ROS, and as such it can also be used on non-ROS systems. However, the library has been wrapped inside a ROS package for making distribution and sharing a breeze.